All chemical data should be summarized and presented in tabular format. Additionally, all laboratory data should be provided in the Testing Report (see Appendix D) and in electronic tabular format (e.g., spreadsheet, delineated text file). Analytical data reported by the laboratories [with National Environmental Laboratory Association Conference (NELAC) standard qualifiers] must be included in the appendix section of the report. In addition to the individual PAHs, total PAHs should also be provided as total low molecular weight (LMW) PAHs and total high molecular weight (HMW) PAHs, as described in Table 5-5. Refer to Section 5.2 for information on reporting data to the TDLs and LRLs. All data should be certified to be accurate by the analytical laboratory or by a third-party data validator. For dredged material evaluations for ocean disposal, the test results from proposed dredging site samples are compared to test results from appropriate reference site sediments. Reference sediment is defined as “A sediment, substantially free of contaminants, that is as similar to the grain size of the dredged material and the sediment at the disposal site as practical, and reflects conditions that would exist in the vicinity of the disposal site had no dredged-material disposal ever occurred, but had all other influences on sediment condition taken place” (1991 Green Book, Section 3.1.2). 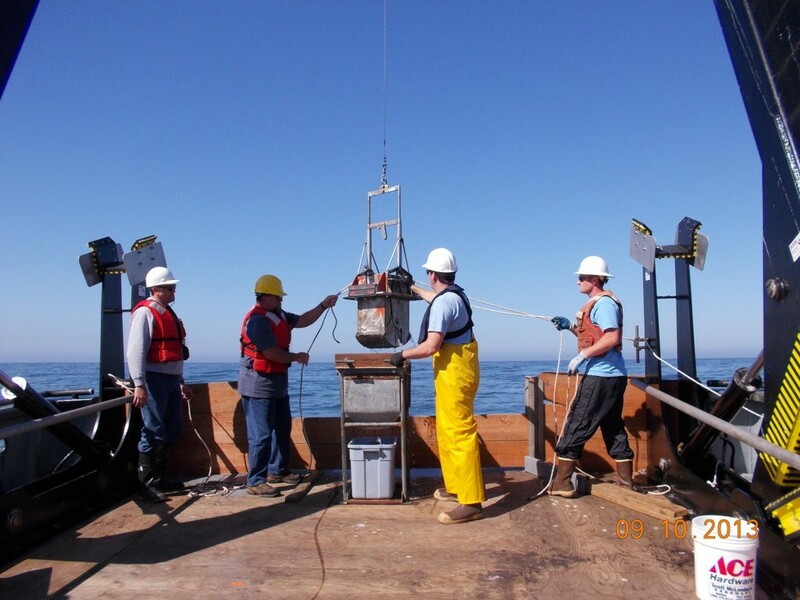 Reference sediment sampling stations are selected to simulate conditions at the proposed disposal site in the absence of past dredged material disposal. 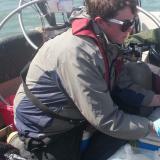 Reference sediments must be collected for each evaluation. Results from previous evaluations are not acceptable. Test organisms should be selected to minimize sensitivity to possible sediment grain size differences among the reference site, the control site, and the proposed dredging site. Using historical reference sites and EPA Region 4 studies of reference areas, EPA Region 4 has identified preferred reference sites for each ODMDS for various grain size distributions. These sites are identified in Appendix K. One or more of these sites may be used and should be selected based on the grain size of the proposed dredged material. These reference areas shall be utilized. Alternative reference sites will be approved on a case-by-case basis. Reference sediments may be collected from (1) a single reference-sediment sampling location; or (2) from a number of approved locations. Reference samples may be composited and tested according to guidance provided in Chapter 8 of the 1991 Green Book. Replicate sediment samples should be collected at the reference site(s) using an appropriate collection device [see Table 5 for the EPA QA/QC Guidance (EPA, 1995)]. 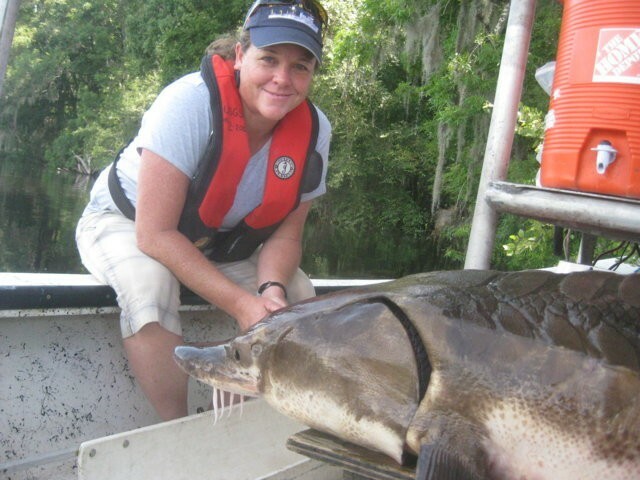 In most cases, a grab sample is adequate for reference sediment stations. Replicates may be composited into a single sample [see Chapter 8 of the 1991 Green Book or Chapter 4 of EPA (2001b) for guidance]. The collected sediment should be of sufficient quantity to conduct all required testing. A minimum of three replicate sediment samples from the reference site(s) should be collected for all testing [i.e., three grabs at one site or one grab at three sites or any other combination for a minimum of three grabs]. Note: This blog is an excerpt from the SERIM* (Southeastern Regional Implementation Manual) concerning the physical and chemical testing of dredged material. Testing is frequently required to characterize the physical and chemical properties of sediments proposed for dredging and disposal. The following information supplements Section 9.0 of the 1991 Green Book and Section 2.8.1 of the QA/QC Manual (EPA, 1995). Strict adherence to established testing protocols and detection limits while conducting all analyses will aid in expediting review and concurrence for projects. Any deviation from these protocols should be approved by the USACE SAD district and EPA Region 4 prior to analysis. Such deviation should be clearly defined in the SAP (see Sections 2.2 and 4.1). Established QA/QC procedures must be followed (see Section 8.0). Gravel and sand fractions should be separated using the standard sieve sizes indicated in Table 5‑1 and reported as cumulative frequency percentages (Section 7.1). The USCS should be utilized and each sample assigned the appropriate two-letter group (see ASTM, 2006). There may be cases where silt and clay fractions will need to be distinguished. USACE SAD districts and EPA Region 4 will provide guidance on a case-by-case basis on whether it is needed. Silt and clay fractions should be quantified by hydrometer (ASTM, 2002), pipette, or Coulter Counter (Plumb, 1981). Use of a laser diffraction grain size analyzer is also acceptable (Loizeau et al., 1994). Total solids and percent moisture should be measured as described by Plumb (1981) or APHA (1995). It should be noted that the results of the above physical analyses may be used to support compliance with one or more of the three exclusionary criteria in 40 CFR 227.13(b) for ocean disposal (see Section 3.1.1). *Not needed in all cases. Consult your USACE district and EPA prior to analysis. As discussed in Section 3.2.1.1, chemical analysis of sediments can be used to document compliance with applicable EPA WQC or state WQS. However, it cannot be used for determination of water column toxicity or the assessment of contaminant toxicity and bioac­cumulation from the material to be dredged. As discussed in Section 3.2.2, sediment chemistry can be used to screen out sediments that are not likely to meet the LPC or to assist in selecting a compositing or testing scheme under Tier III. It can also be used in Tier I as part of confirmatory analysis (see Section 3.1.2). It should be noted that chemical analysis of sediments is not required to document compliance with the ocean dumping criteria, but can be a beneficial tool in evaluating current and future projects. The COCs that should be analyzed on a routine basis are listed in Tables 5-3 through 5-7. The routine metals, polychlorinated biphenyls (PCBs), polynuclear aromatic hydrocarbons (PAHs), and pesticides listed in these tables were chosen based on the requirements of 40 CFR 227.6, their toxicity, their persistence in the environment, their ability to bioaccumulate, and their widespread and consistence occurrence in the estuarine, marine, and freshwater sediments and organisms of the southeastern United States. These lists can be reduced or expanded based on site-specific knowledge of pollution sources or historical testing showing the presence or lack of presence of specific contaminants. Table 3-2 provides a list of resources for determining COCs. It should be explicitly stated in the SAP when listed contaminants will not be analyzed. One of the primary sources of dioxin-like compounds [chlorinated dibenzo‑p‑dioxins (CDDs), chlorinated dibenzofurans (CDFs), and certain PCBs] in surface water is bleached pulp and paper mills (EPA, 2001c). Dioxin-like compounds will be added to the analyte list when pulp and paper mills are or were present upstream in the watershed of the proposed dredging area unless it has been previously documented that these compounds are not present within the sediments in the vicinity of the project. Other major sources of dioxin-like substances to the air and land that could deposit in sediments include solid and medical waste incineration, secondary copper smelting, and cement kilns (EPA, 2001c). If any of these activities are present in the project vicinity, dioxin-like compounds should be considered. Appropriate methods and target detection limits for the dioxin-like compounds and any other supplemental COCs can be found in Appendix M of this document, the EPA QA/QC Guidance (EPA, 1995), the Inland Testing Manual, or the 1991 Green Book. If sediment chemistry is to be used in the screening method (Section 3.2.1.1) to document compliance with the WQC, analyses must be performed for all analytes listed in Appendix F.
The target detection limits (TDLs) listed in the tables are performance goals (EPA, 1995). Laboratory reporting limits (LRL) for each project should be at or below these values (Jones and Clarke, 2005). LRLs are the minimum levels at which a lab will report analytical chemistry data with confidence in the quantitative accuracy of that data. LRLs are adjusted for sample-specific parameters such as sample weight, percent solids, or dilution. As routine data acceptance criteria, the LRLs for each analyte should be below the listed TDL, with the caveat that some sediments with higher percent moisture content may have LRLs above the TDLs. It is the applicant’s (USACE SAD district for Civil Works projects) responsibility to meet the TDLs. Some laboratories have had difficulties in the past meeting the required TDLs because of inappropriate sample preparation and clean-up procedures to remove interfering substances typically found in marine sediments (e.g., elemental sulfur). If the TDLs cannot be attained, a detailed explanation should accompany the data providing the reasons for not attaining the required TDLs. Re-analysis may be necessary or the contaminant may have to be assumed to be present at the reported LRL. Appropriate sample preparation, clean-up, and analytical methods have been developed for estuarine/marine sediments by the National Oceanic and Atmospheric Administration (NOAA) (1993) and the EPA research laboratory at Narragansett, RI (EPA, 1993a). Established sample and clean-up procedures are presented in Table 5-2.